May Tsupros was a science teacher in a Chicago high school when a senior student leaned over her desk and asked her, what were those things she was eating? They were blueberries. “That was the lightbulb moment,” she recalls, “when I realized that not everyone has access or exposure to healthy, wholesome food. I realized that my students, specifically, might not have that opportunity.” May is a Teach For America alumnus, and like many of her peers, her first experiences teaching were in schools that lacked resources. Over the next seven years that May taught, she noticed more and more the way that food was affecting her students’ ability to learn. Many of her students have breakfast on the way to school, stopping at the gas station nearby. They’d pick up a sugary beverages and bags of chips or pouches of snack cakes. Education inequity is a real and serious problem in this country, but food inequity is an even bigger problem. It can keep students from being able to learn, study, and perform to the best of their abilities. 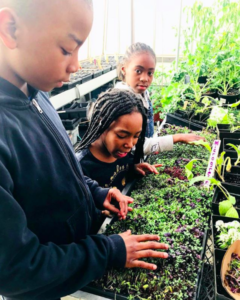 She wanted to help these students take ownership of their nutrition, but their food desert community was a major obstacle. In 2013, May met Adam, another Teach For America alum. 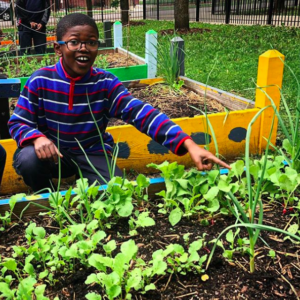 They had had similar experiences teaching, and came up with the concept for Gardeneers: a non-profit that gives Chicago students in food desert communities increased access to healthy food and food education. Neither of them had experience working in the non-profit sector, but by 2014 the two had signed the bylaws and made their idea into a reality. The endeavor has been going strong ever since. 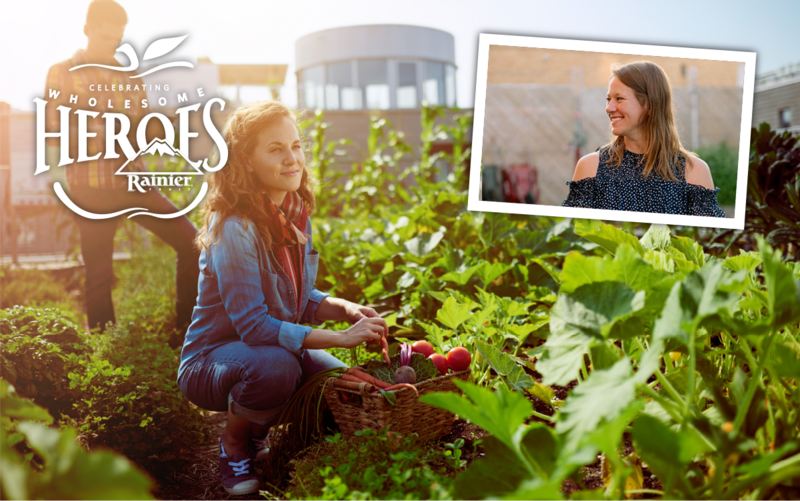 Through the Gardeneers program, over 2300 students are impacted every week. “We have a hands-on approach.” She explains, “We provide people on the ground to actually do the work. 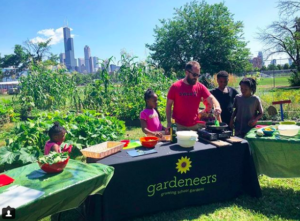 Most of our funding goes into the team that is making sure kids are learning and the burden is not on the school or classroom teacher.” Gardeneers has community volunteer days, as well as a community farm stand where they give food away for free. “We’re growing within the communities that we serve and grounding ourselves in these communities as well,” she reflects. “There are a lot of moving parts when you’re running an organization,” she explains, “and in order to keep going we need to seek funding, and continue to grow our network.” May has been connecting with like minded people and organizations to expand the Gardeneers mission, and for her it’s essential to partner with those who share the belief that we need to heal a broken food system. “At one high school summer program, every day a 9 year old boy from the neighborhood would come down to help. He was into everything—shoveling, planting, eating—he just wanted to be involved.” May says. Within the communities where Gardeneers has taken root, it seems like everyone wants to be part of it. There’s a continuous stream of stories from the team on the ground, of new people wanting to take part in the garden projects and educational programs. 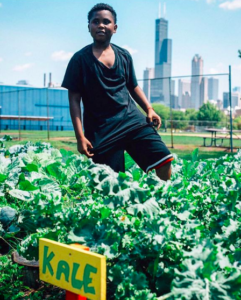 It may not be where she thought she would end up, but May has found a calling in helping heal the broken food system in a growing number of Chicago area food deserts. We can’t wait to see how the path grows for Gardeneers. Rainier Fruit, and our partners at the Whole Kids Foundation, are truly honored to call May Tsupros a Wholesome Hero.